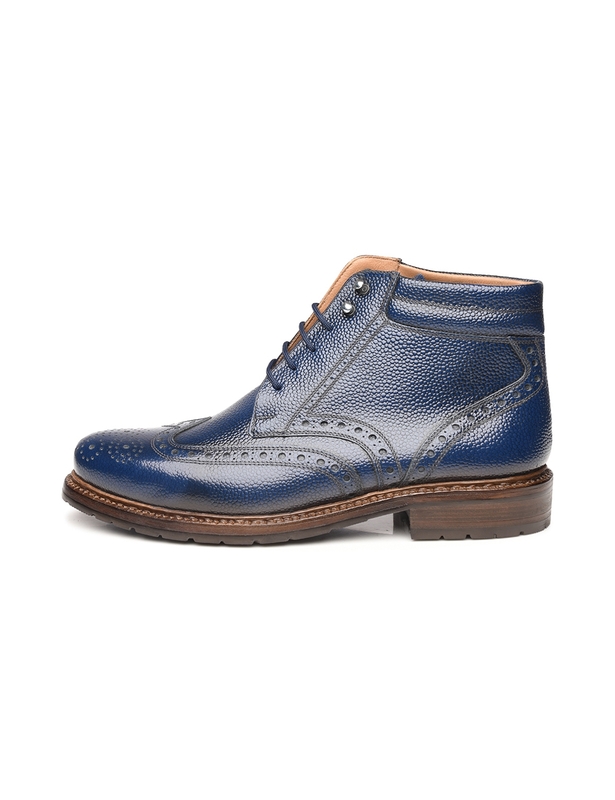 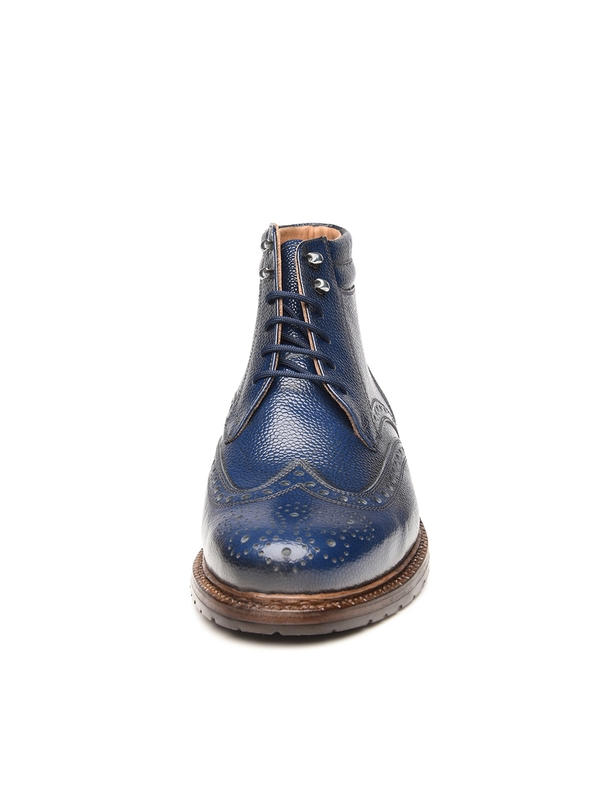 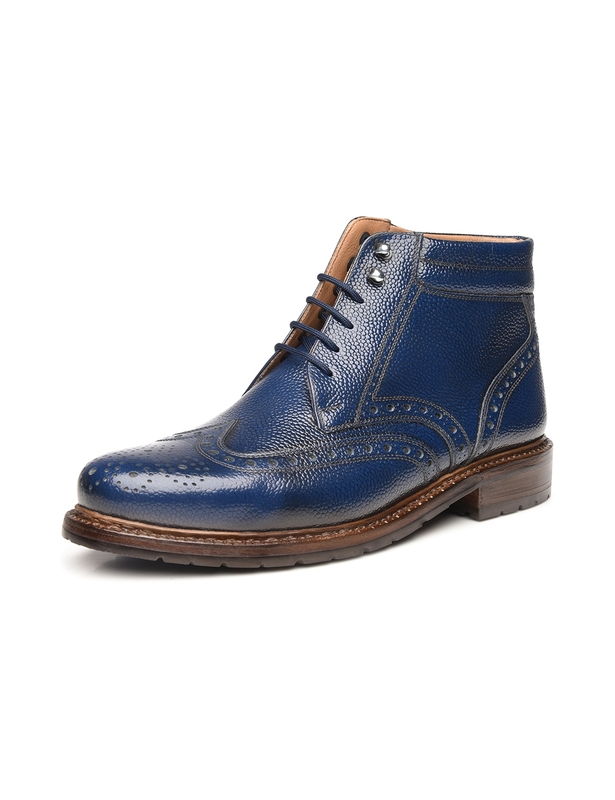 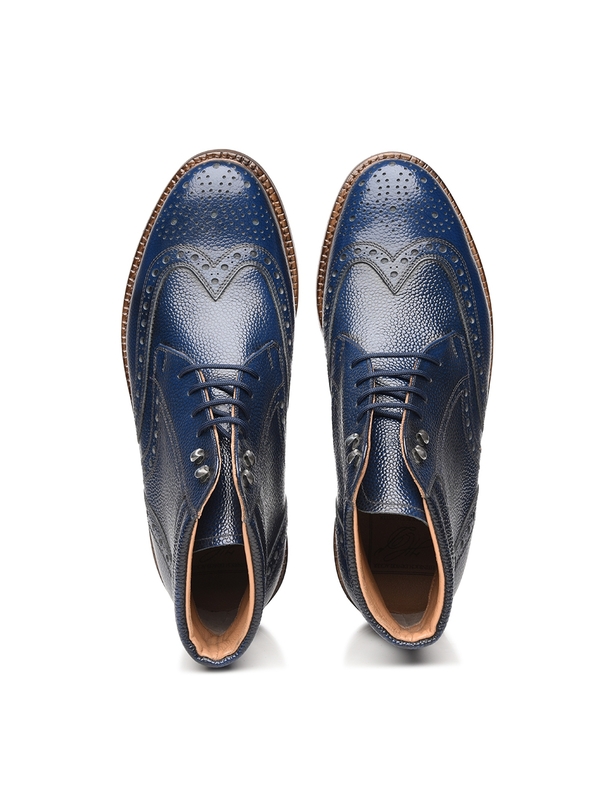 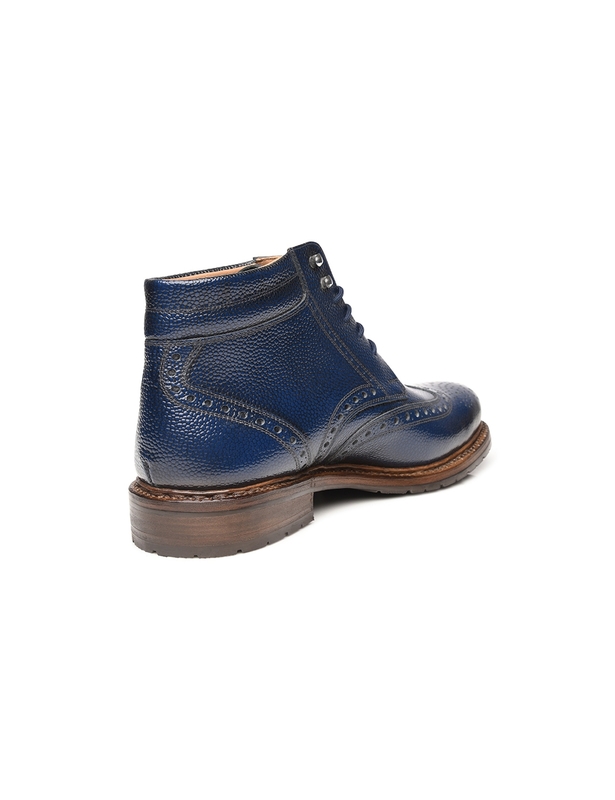 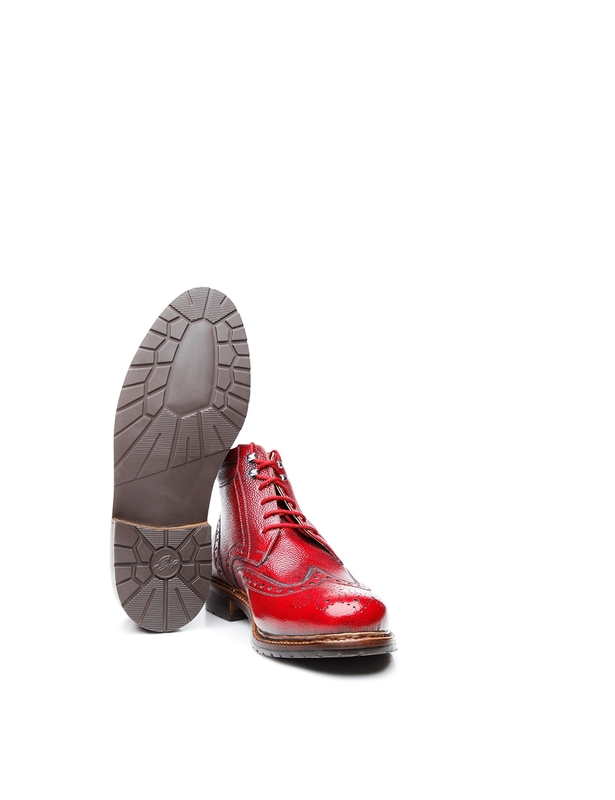 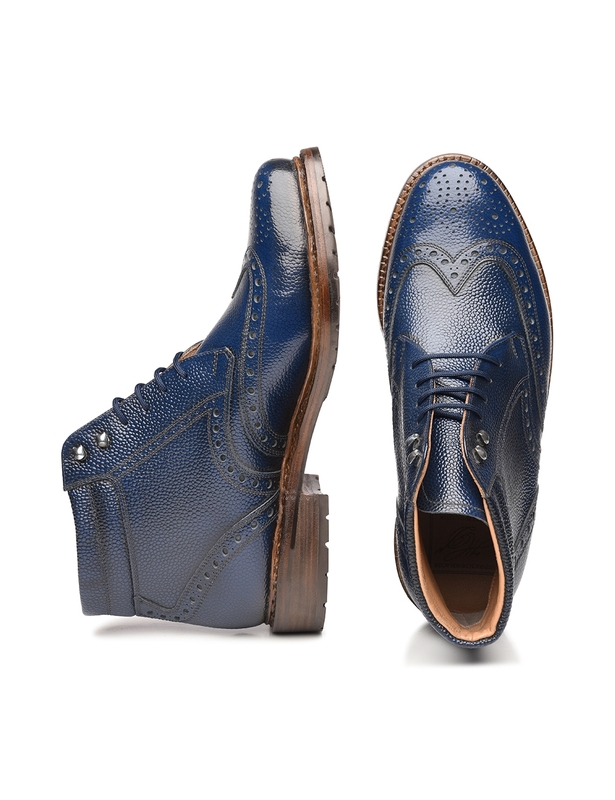 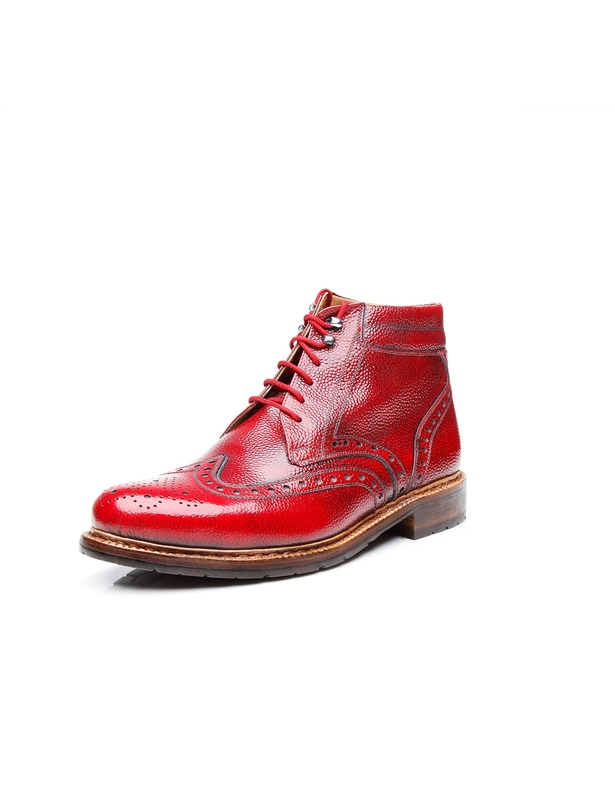 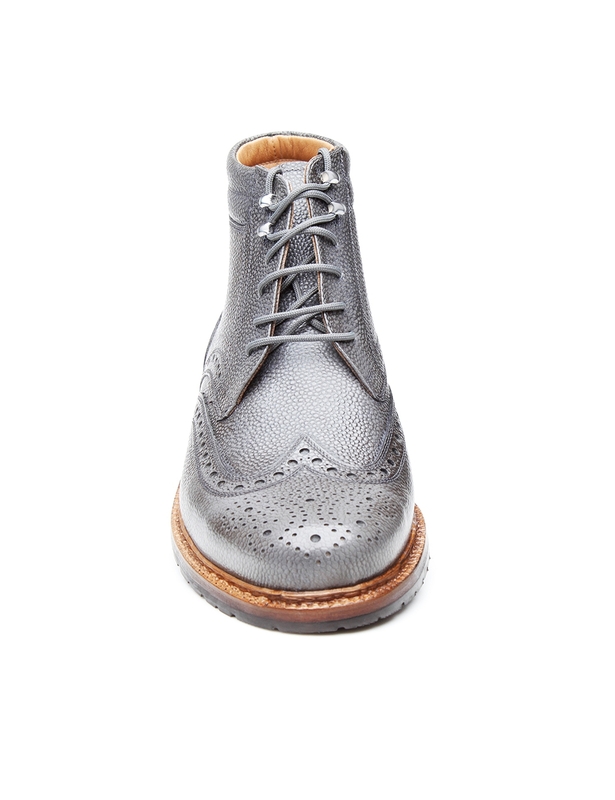 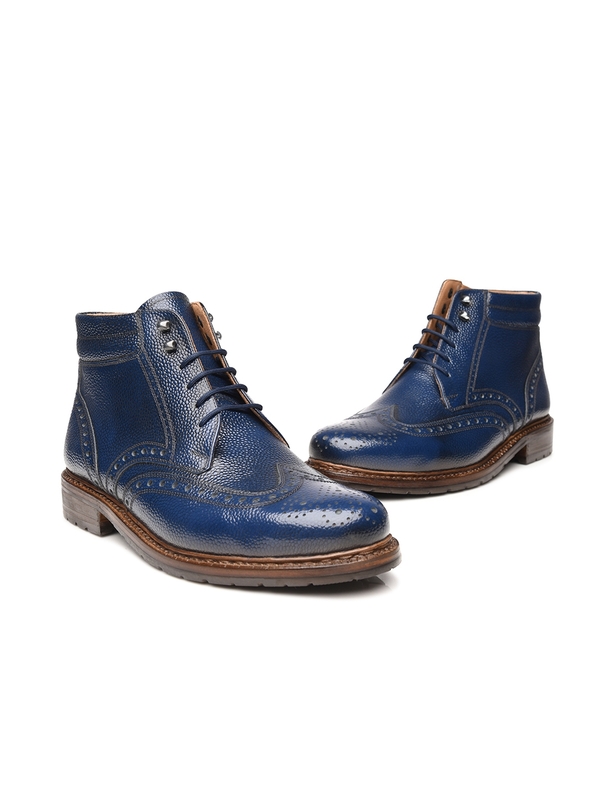 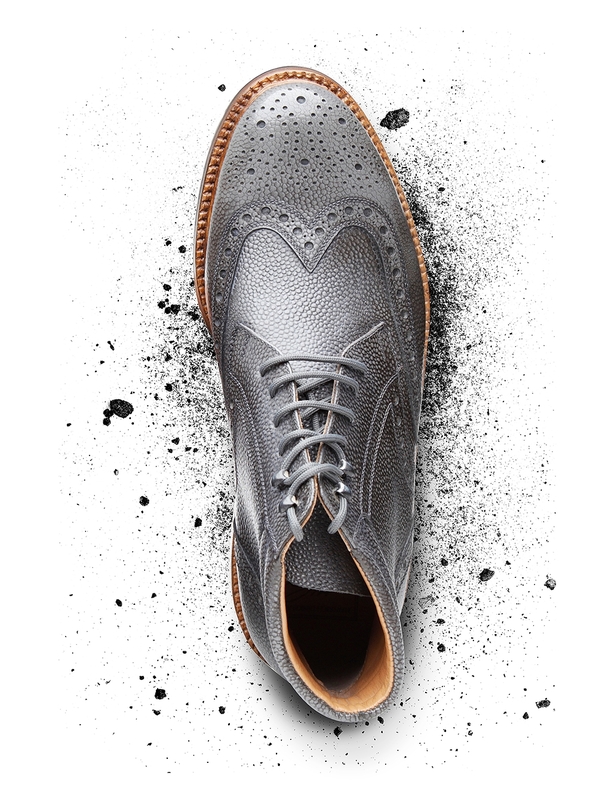 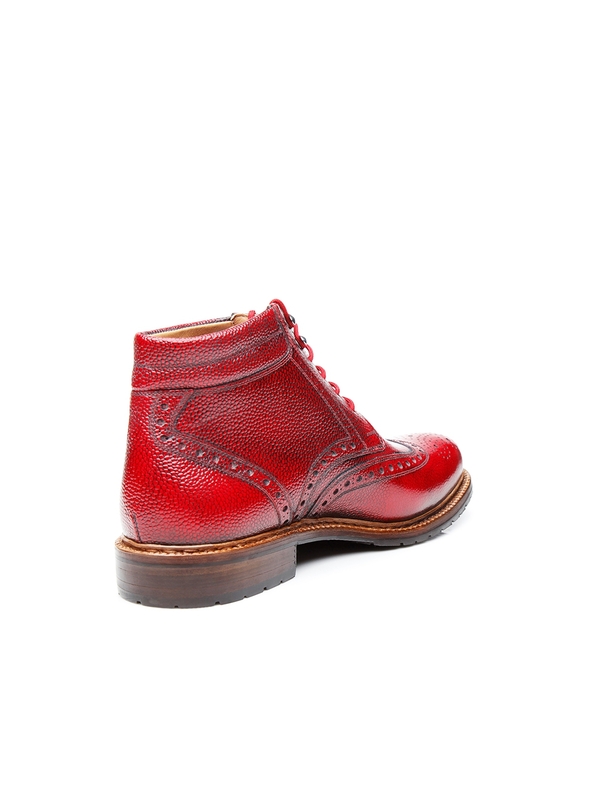 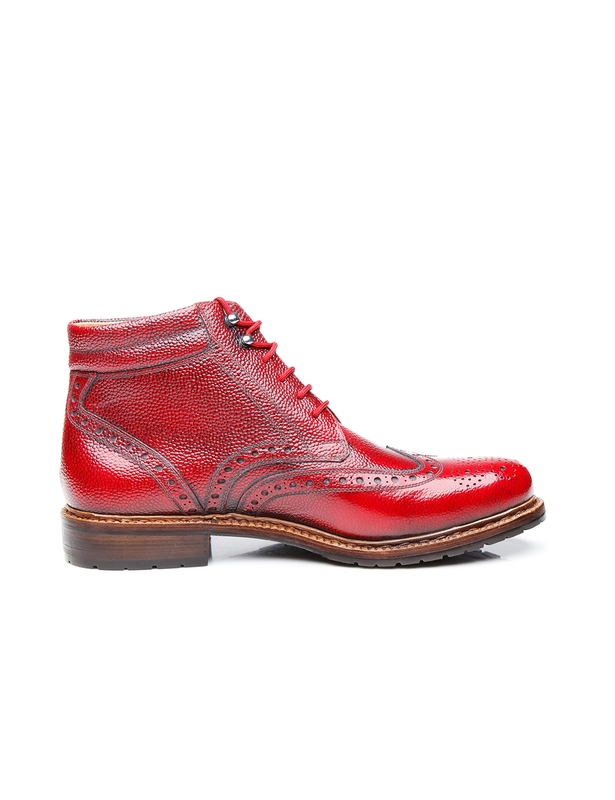 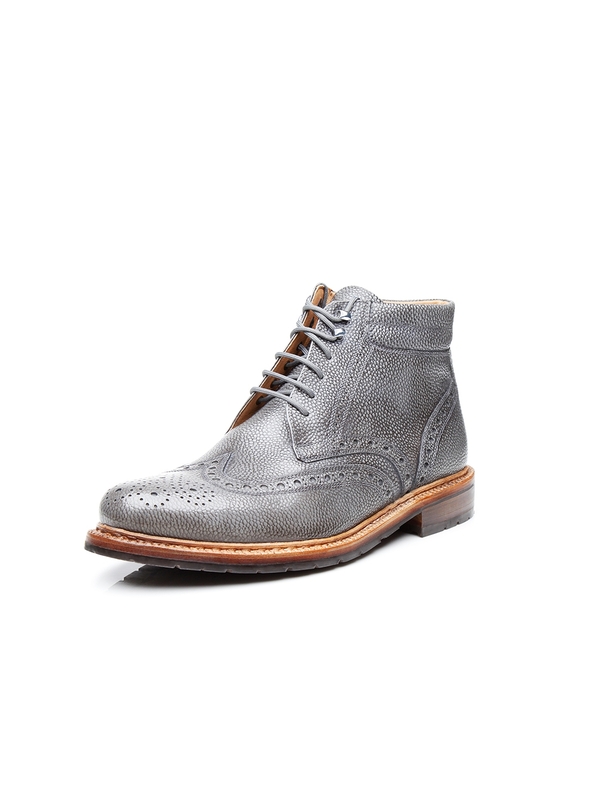 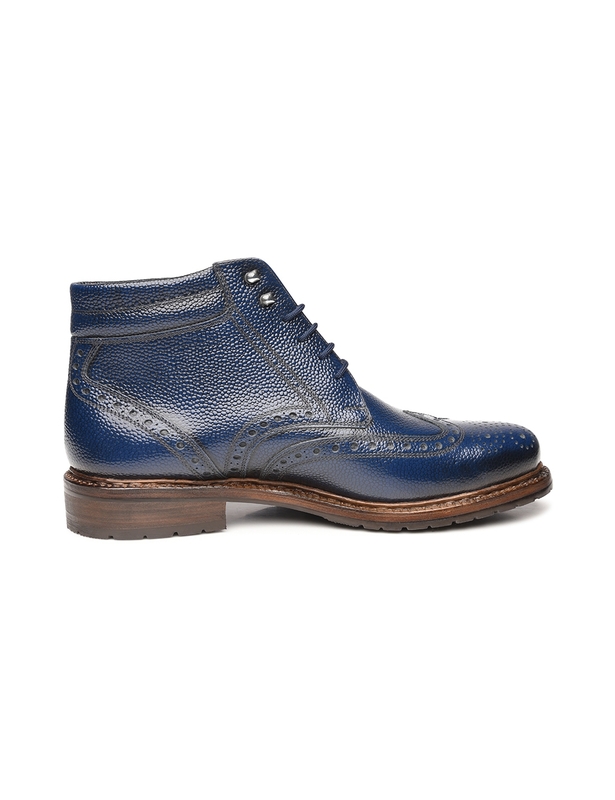 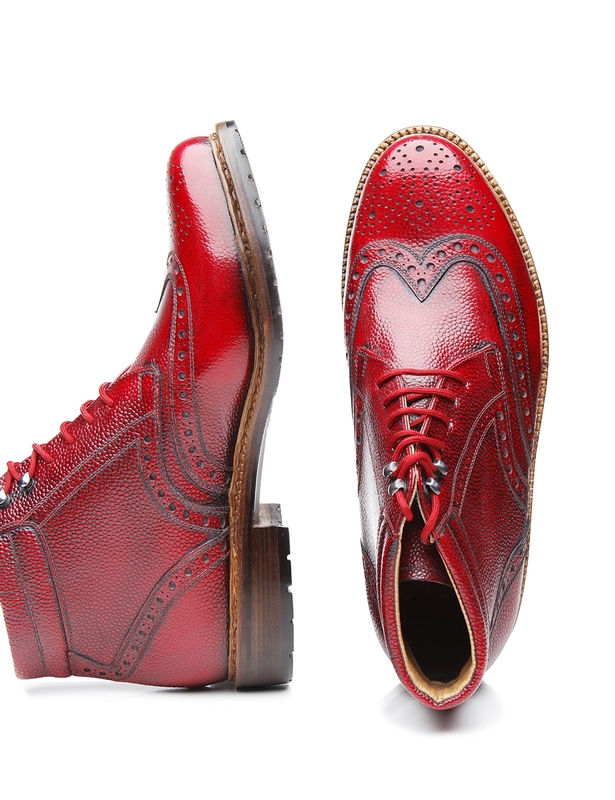 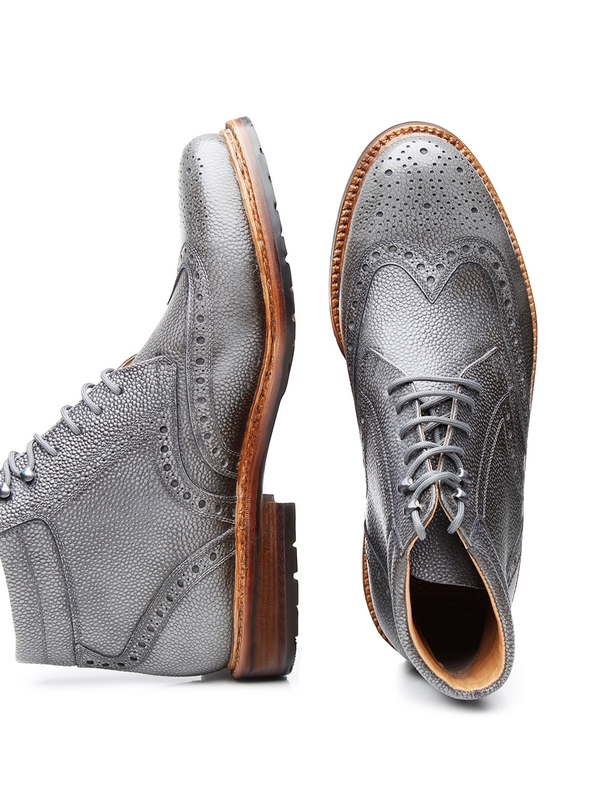 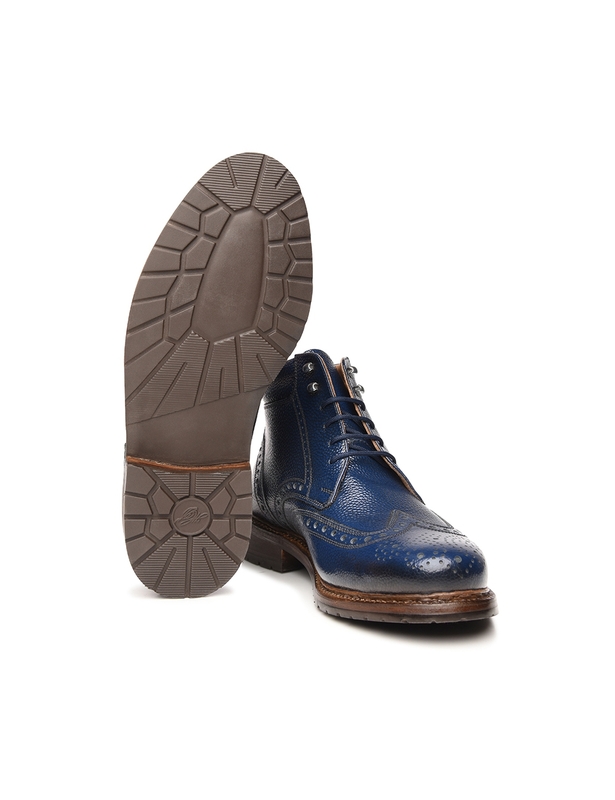 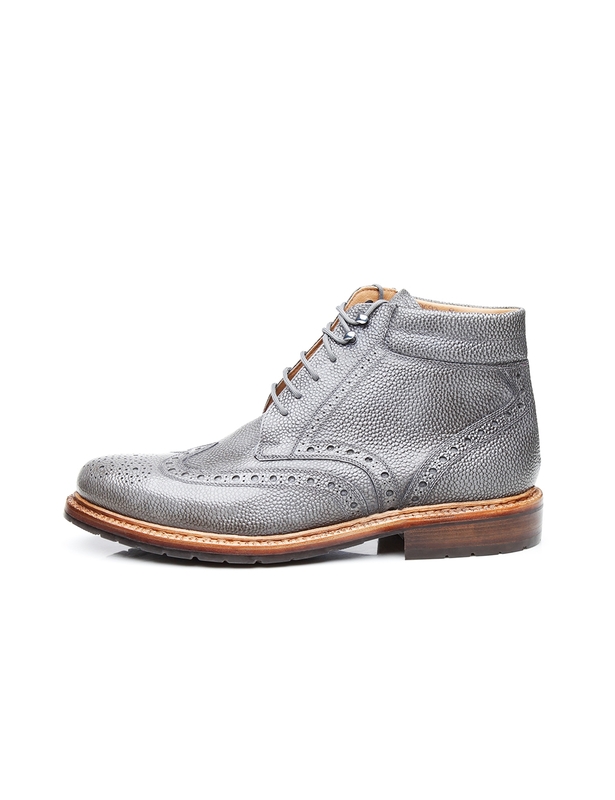 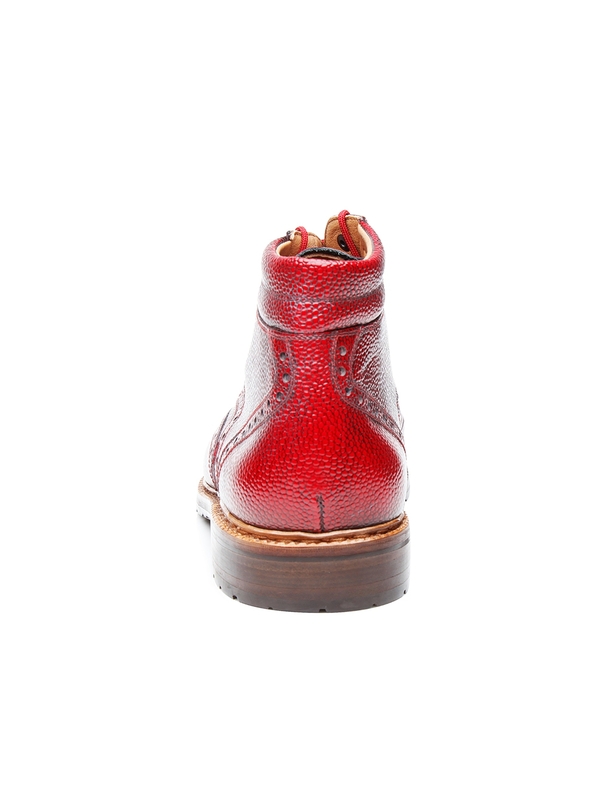 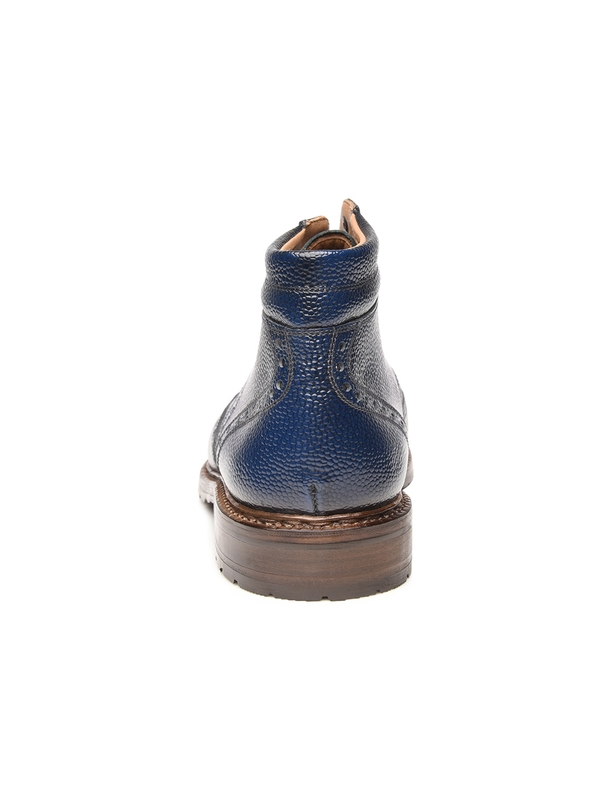 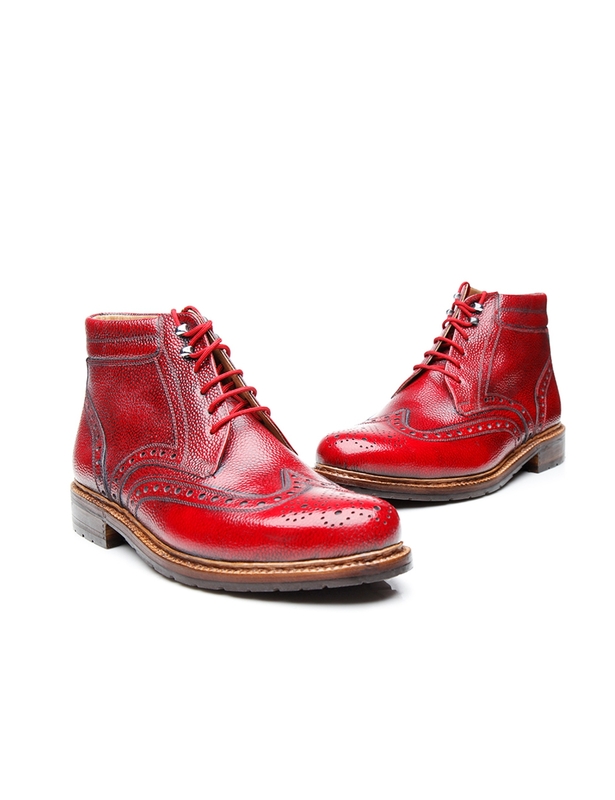 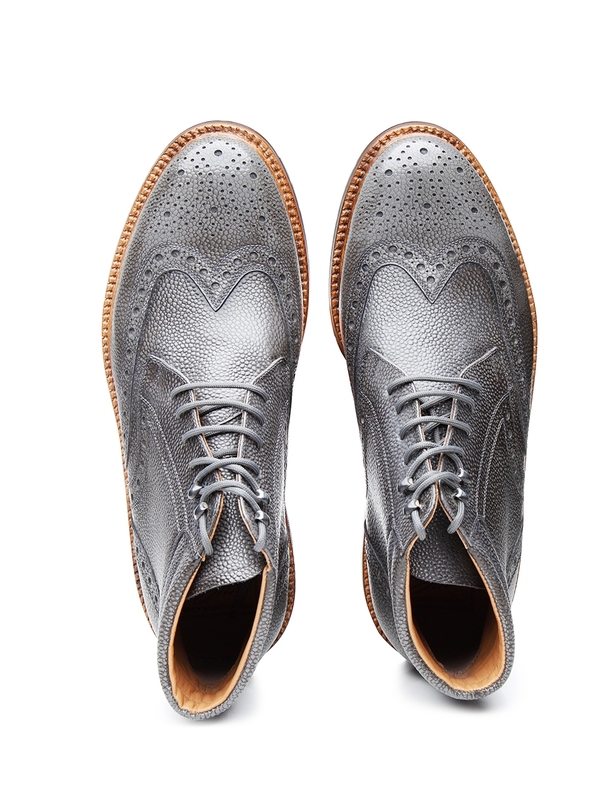 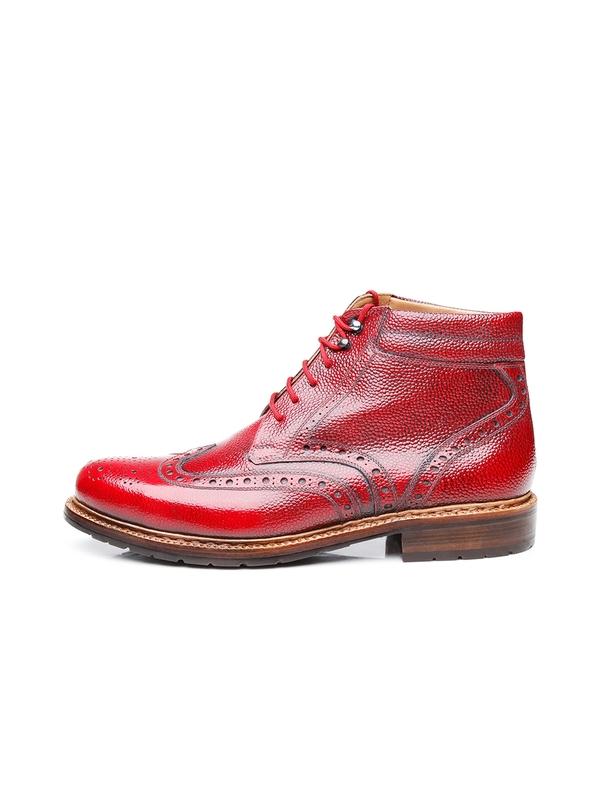 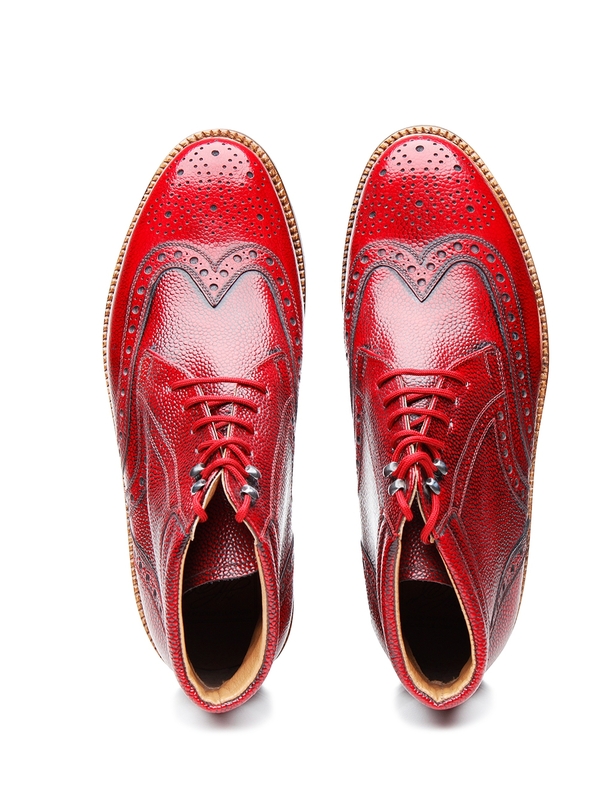 A handcrafted men’s boot for special occasions: Striking colors, embossed calfskin, and richly detailed Lyra perforation make for a breathtaking overall appearance. 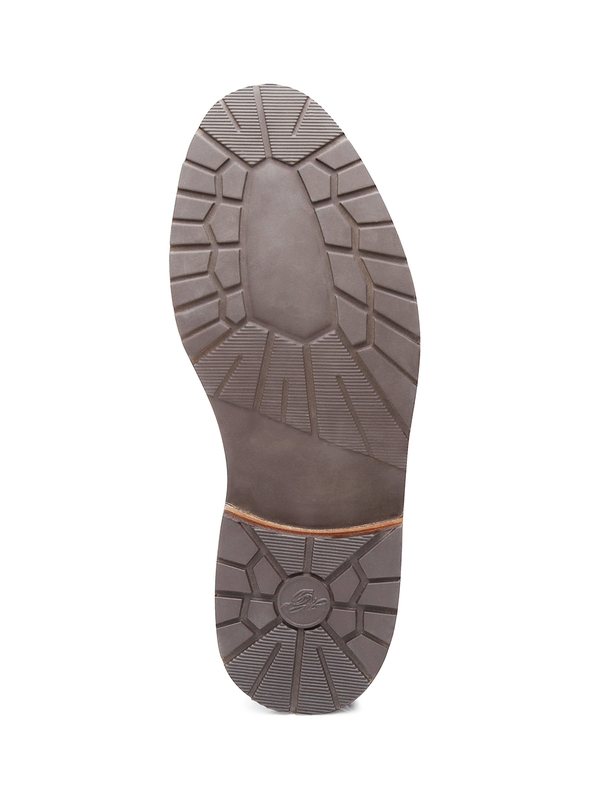 Open hook-and-eyelet lacing and reinforcement around the opening exude athletic nonchalance, which is further underscored by the robust leather sole. 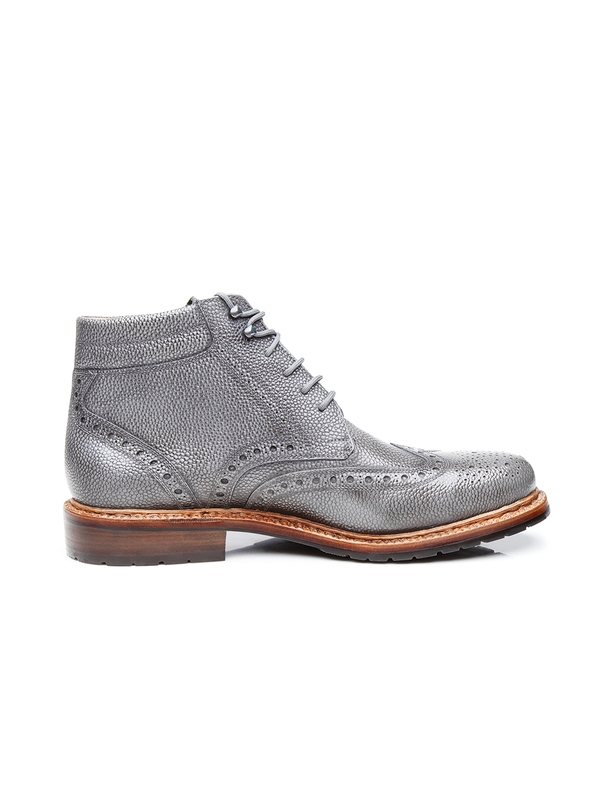 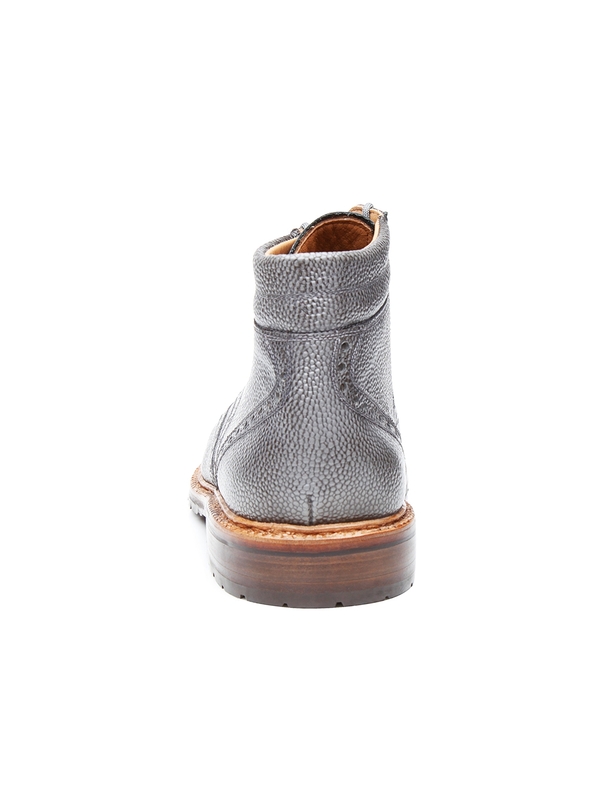 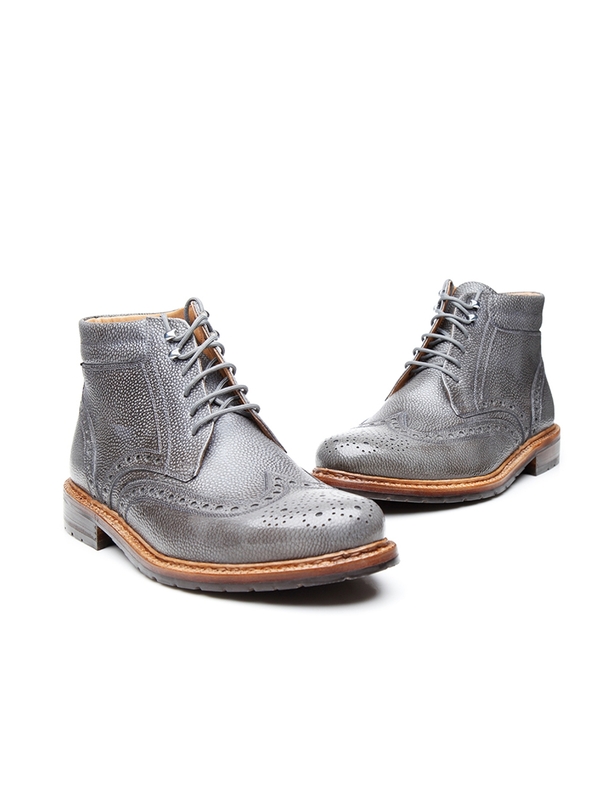 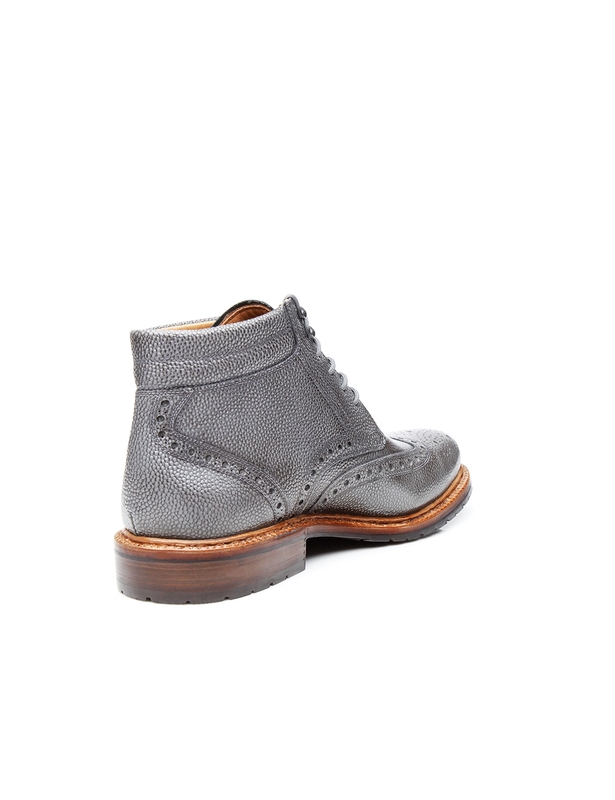 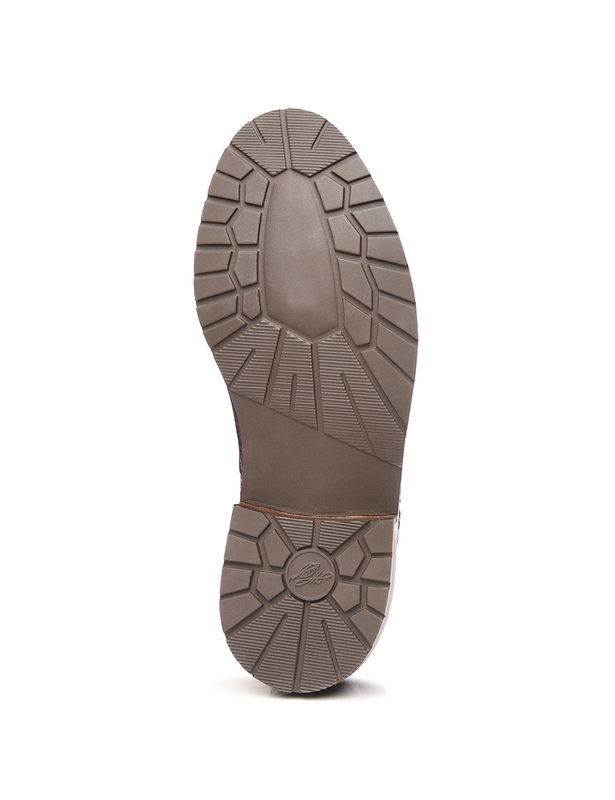 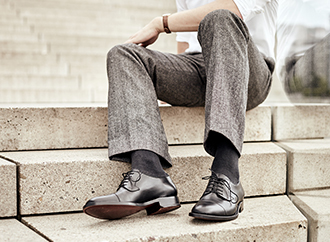 Said stable outsole makes these men’s boots ideal for cold, wet weather. 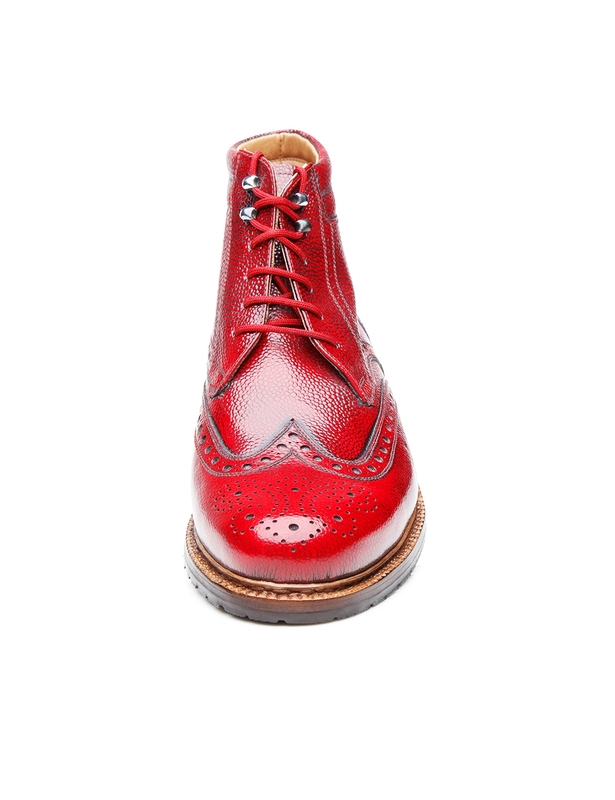 Assembled around an extra-wide Janosh K last, this double-stitched model represents the very best cobbling work and exemplifies stylish finesse.